17 August 2017. Findings from a one-year clinical trial show individuals in the U.S. with Parkinson’s disease can receive quality care through telemedicine comparable to persons with the disorder receiving the usual care from neurologists alone. Results of the trial appear in yesterday’s early issue of the journal Neurology (paid subscription required). The study, led by neurologist Ray Dorsey at University of Rochester in New York, is part of a program known as Connect.Parkinson evaluating the delivery of multi-disciplinary care required for people with Parkinson’s disease, but with video conferencing in the individuals’ homes. Parkinson’s disease occurs when the brain produces less of the substance dopamine, a neurotransmitter that sends signals from one neuron or nerve cell to another. As the level of dopamine lowers, people with Parkinson’s disease become less able to control their bodily movements and emotions. Symptoms include tremors, i.e. shaking, slowness and rigidity in movements, loss of facial expression, decreased ability to control blinking and swallowing, and in some cases, depression and anxiety. According to Parkinson’s Disease Foundation, some 60,000 new cases of Parkinson’s disease are diagnosed in the U.S. each year, with more than 10 million people worldwide living with the disease. 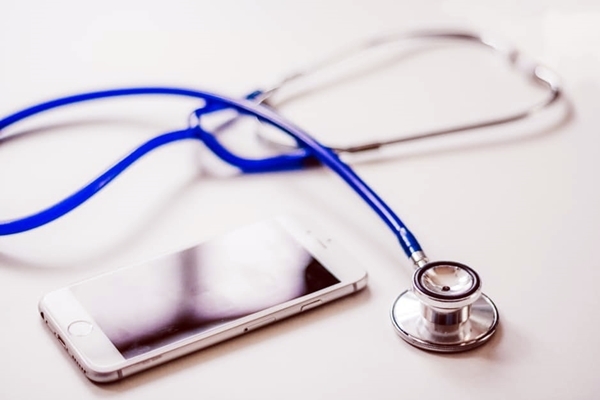 The clinical trial evaluated the addition of telemedicine to the usual care given individuals with Parkinson’s disease. Nearly 200 people with Parkinson’s disease were randomly assigned to receive the usual care, plus either additional literature from National Parkinson Foundation or a series of 4 virtual visits from a neurologist that was not yet treating the participants. Participants were recruited throughout the U.S., through the National Parkinson Foundation, the advocacy group PatientsLikeMe, and Michael J. Fox Foundation. Dorsey and colleagues were looking primarily at changes in participants’ quality of life, as determined by a standard 39-item rating scale covering 8 different dimensions administered by independent evaluators at the beginning of the study and after 1 year. The study team also gauged the feasibility of virtual visits, determined by the successful completion of at least 1 virtual visit. In addition, the researchers tracked a number of other factors, such as overall health and cognition indicators. The results show persons receiving virtual visits seemed to take part in sessions with little difficulty. Nearly all people in the virtual visits group (98%) took part in at least 1 session, and the vast majority of virtual house calls (91%) were successfully completed. And the quality of life scores for individuals receiving virtual visits, and those receiving the usual care, remained about the same from before the study to a year later. The trial was funded by the Patient-Centered Outcomes Research Institute, or PCORI, and National Parkinson Foundation. Dorsey tells more about the project in this PCORI video.